Neuroplasticity is not only shaped by learning and memory but is also a mediator of responses to neuron attrition and injury (compensatory plasticity). As an ongoing process it reacts to neuronal cell activity and injury, death, and genesis, which encompasses the modulation of structural and functional processes of axons, dendrites, and synapses. The range of structural elements that comprise plasticity includes long-term potentiation (a cellular correlate of learning and memory), synaptic efficacy and remodelling, synaptogenesis, axonal sprouting and dendritic remodelling, and neurogenesis and recruitment. Degenerative diseases of the human brain continue to pose one of biomedicine’s most intractable problems. Research on human neurodegeneration is now moving from descriptive to mechanistic analyses. At the same time, it is increasing apparently that morphological lesions traditionally used by neuropathologists to confirm post-mortem clinical diagnosis might furnish us with an experimentally tractable handle to understand causative pathways. Consider the aging-dependent neurodegenerative disorder Alzheimer’s disease (AD) which is characterised at the neuropathological level by deposits of insoluble amyloid β-peptide (Aβ) in extracellular plaques and aggregated tau protein, which is found largely in the intracellular neurofibrillary tangles. We now appreciate that mild cognitive impairment in early AD may be due to synaptic dysfunction caused by accumulation of non-fibrillar, oligomeric Aβ, occurring well in advance of evident widespread synaptic loss and neurodegeneration. Soluble Aβ oligomers can adversely affect synaptic structure and plasticity at extremely low concentrations, although the molecular substrates by which synaptic memory mechanisms are disrupted remain to be fully elucidated. The dendritic spine constitutes a primary locus of excitatory synaptic transmission in the mammalian central nervous system. These structures protruding from dendritic shafts undergo dynamic changes in number, size and shape in response to variations in hormonal status, developmental stage, and changes in afferent input. It is perhaps not unexpected that loss of spine density may be linked to cognitive and memory impairment in AD, although the underlying mechanism(s) remain uncertain. 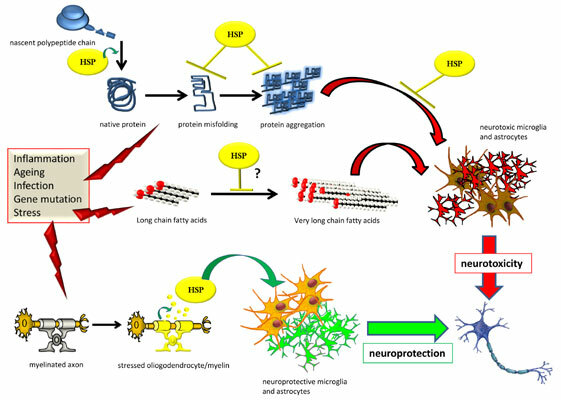 This article aims to present a critical overview of current knowledge on the bases of synaptic dysfunction in neurodegenerative diseases, with a focus on AD, and will cover amyloid- and nonamyloid- driven mechanisms. We will consider also emerging data dealing with potential therapeutic approaches for ameliorating the cognitive and memory deficits associated with these disorders. Alzheimer disease, cognition, dendrites, glia, glutamatergic, memory, neurodegeneration, plasticity, spines, synapse.